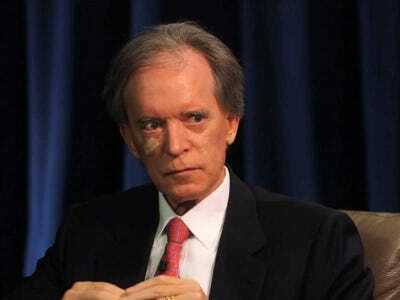 Bill Gross is out with his latest investment outlook. Like Gross, it is an enigmatic, mercurial, and meandering piece of writing that, basically, says the government needs to spend money. But more than Gross’ outlook on the economy, it is his introduction that may — again — ask investors just what is going on with the man once known as the Bond King. What Gross is currently thinking about, from an investment standpoint, finally becomes sort of clear at the end of his piece. “The real economy needs money printing, yes, but money spending more so, and that must come from the fiscal side — from the dreaded government side — where deficits are anathema and balanced budgets are increasingly in vogue,” Gross writes in his second-t0-last sentence. Gross also writes about why central bankers remain so focused on inflation goals, which have been eluding bankers at the Federal Reserve, Bank of Japan, and European Central Bank for the last several years. On the heels of a big week for monetary policy — the US Federal Reserve announced the end of its current QE program and the Bank of Japan announced additional stimulus measures — Gross argues that the only reason central bankers remain so insistent on 2% inflation is because of what the modern global economy has become. Why not? Simple maths, I suppose. Our 2014 U.S. Oldsmobile requires 4% nominal growth just to keep it running, and Euroland economies need at least 3%. Having created outstanding official and shadow banking credit of nearly $US100 trillion with an average imbedded interest rate of 4% to 5%, the Fed presses must crank out new credit (nominal growth) of approximately the same 4% to 5% just to pay the interest rate tab. That of course wasn’t the case in Grant’s 19th century version — there was very little debt to service. But now at 500% to 600% of GDP (shadow debt included), it’s a Sisyphean struggle just to stay above water. The conclusion of Gross’ first paragraph, however, shows a bit more about what might be interesting Bill Gross in his second act.